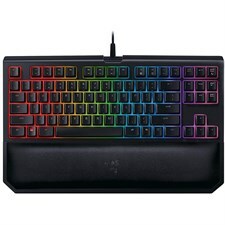 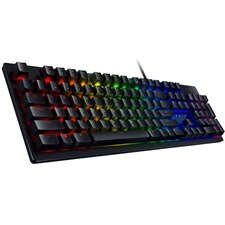 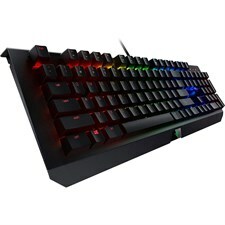 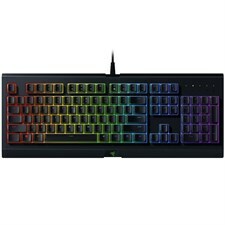 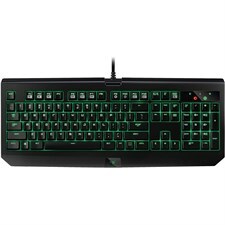 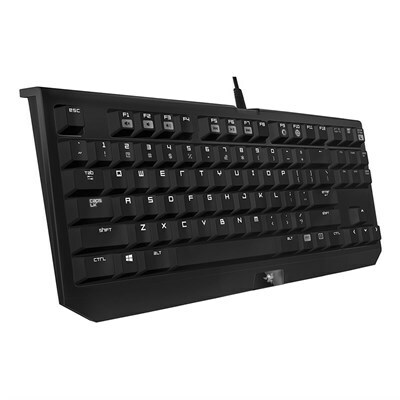 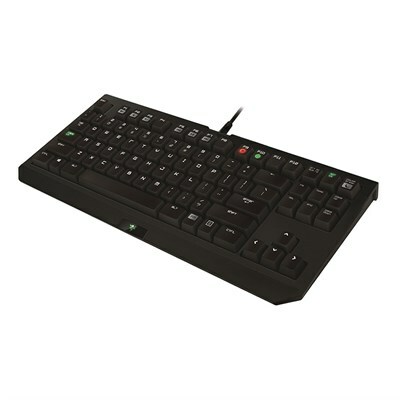 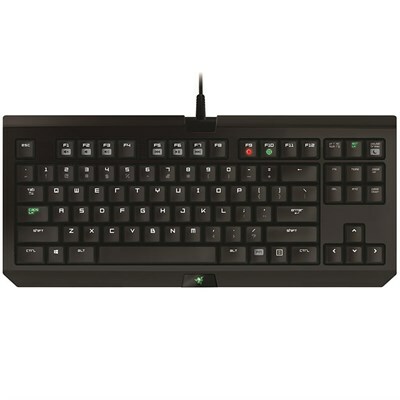 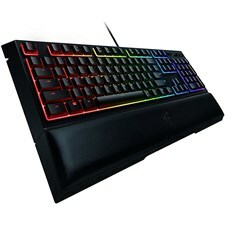 Razer BlackWidow Tournament Edition mechanical keyboard with Green Razer Mechanical Switches. 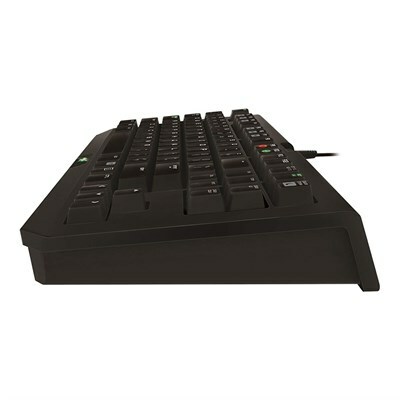 With clicky mechanical keys in a portable compact layout. 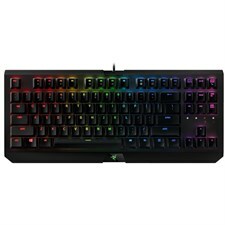 Designed specifically for gaming, the Razer™ Mechanical Switch actuates at an optimal distance, giving you speed and responsiveness like never before. 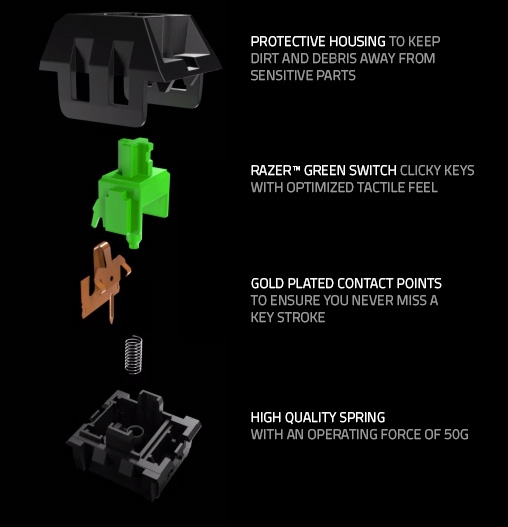 The Razer™ Mechanical Switch has been lauded as the new standard for all mechanical gaming keyboards since its introduction. 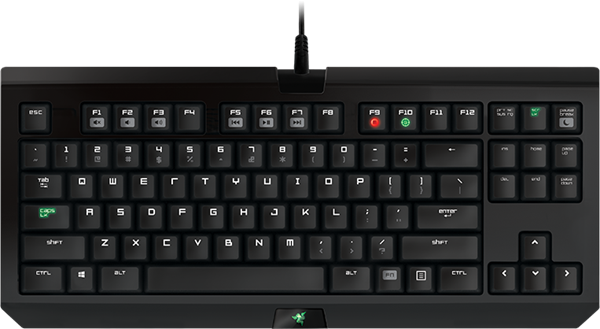 No matter how intense your gaming marathons get, each Razer™ Mechanical Switch is engineered to withstand up to 60 million keystrokes, so you’ll enjoy the Razer advantage for longer.